When we sprout we actually unlock the nutrients normally locked in the seed. The nutrients, important vitamins and minerals become more “bioavailable” which basically means our body can access and absorb these nutrients easier. I love sprouting especially this time of year because typically I eat seasonally. Root vegetables, curries, soups and stews. Sprouts add a bit of summer time freshness that can be hard to find this time of year. I add sprouts to the top of my soups and salads, into my wraps and smoothies. In general plant based diets are growing in popularity, as part of this trend there are more and more options for dairy alternatives. Cheeses, nut milks including cashew, flax and hemp, coconut and even chocolate. I love making a non-dairy grilled “cheese” on sported bread with advacado, it’s a healthier twist on the traditional sandwich. 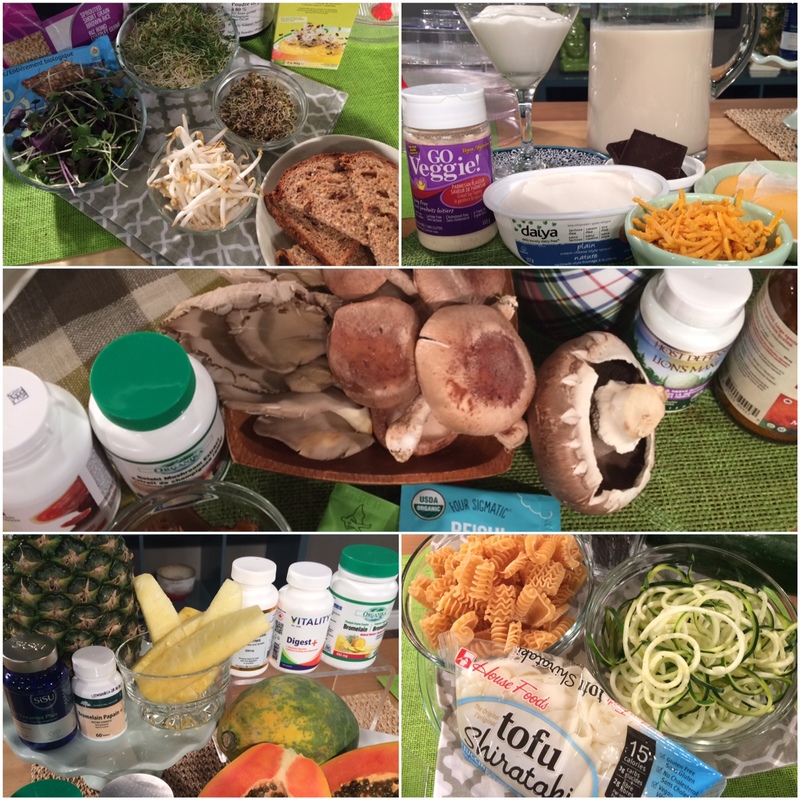 Last year digestive health was popular with a big focus on fermented foods and probiotics. This year the trend will continue with more of a emphasis on digestive enzymes. Unlike probiotics (bacteria strains which our body can’t produce and must get from outside sources such as fermented foods or probiotic supplements) digestive enzymes are actually made in the body. As we age and because of stress, our production of these important enzymes can decrease. If after you eat you typically feel bloated, gasy or suffer from indigestion you might want to try taking a digestive enzyme to help boost your body’s digestion. For a vegetable that had spent a lot of time in the shade this fungi is now getting some well deserved time in the spotlight. Mushrooms are great to eat because they can add a meaty texture to your meals, are high in B-vitamins and important minerals like selenium and copper. In addition to being great to eat mushrooms are also very well know for their medicinal properties. Used traditionally for thousands of years more and more research is being done on the benefits. Specific strains such as Lion’s Mane, Mataki and Chaga are know for their immune boosting properties. If you want to find more about the magic of mushrooms (not in the hallucinating way) you can watch this video. Carbs get a bad rep because typically when we think about carbs we think about white pasta, white rice, cookies, cakes and pasteries. These food spike our blood sugar and put pressure on our pancreas but not all carbs are created equal. There are smarter carb options, pasta made of beans, chickpea pasta, spiralized zucchini noodles or my new fav shirataki noodles. And let’s not forget about snack options! Bean chips and roasted chickpeas. Instead of making a new year’s resolution to cut-out carbs, set an intention to experiment with healthier options. So that’s it, the top five trends in natural health for 2017. I bet you will be seeing and hearing more about all of the above this year. If you would like more information check out the CHFA YouTube channel or site and if you want to actually try incorporating more of these trends into your health habits visit your local CHFA member health food store to find the products I have mentioned above. I hope you have a happy and very healthy new year!